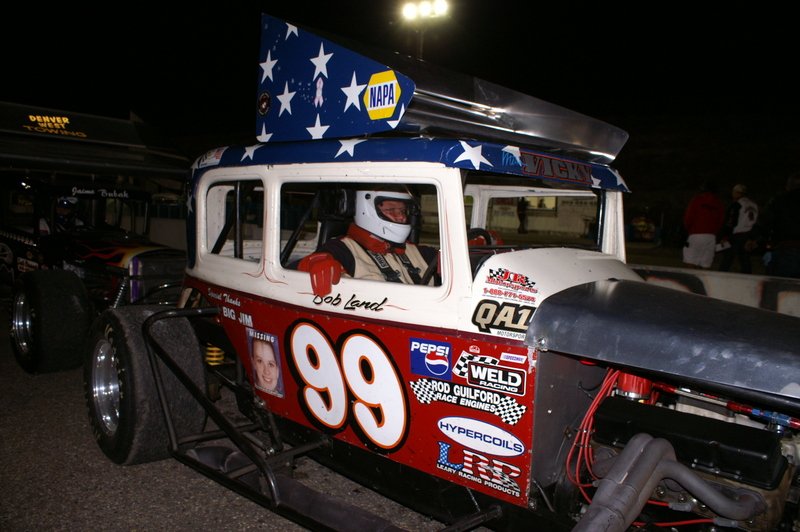 Bobby Land, a long time racer in Colorado, ran his last race at Big Country Speedway, Cheyenne, Wyoming last September. He and the venerable "Miss Vicky", Made many trips around the local Colorado bull rings over the past 5 decades, with a majority of the laps turned at the old, Lakeside Speedway in Denver. He also ran at Englewood Speedway, Englewood, Co., Second Creek Race way , Commerce City, CO., I~25 Speedway, Pueblo, Co. and made other appearances at other tracks through out the state. I wonder if Bob knew my uncles, Don and Fritz Wilson? I moved away from the colorado area long before I had the chance to really see them race. I'm sure Bob will be missed my many people. It's good to see the old guys still out there doing their thing. I enjoyed your posting, Mike.. thanks!